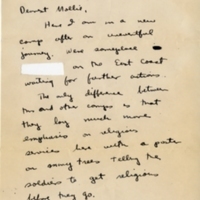 This digital collection contains photographs and images of documents and objects from the Mollie Lieber West Papers at the Women and Leadership Archives (WLA). 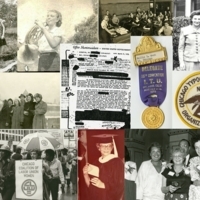 Copyright is held by the Women and Leadership Archives. 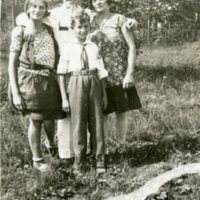 Young Mollie West (nee Shieman) shown with her immediate family, Father “Harry” Shieman, Mother “Minnie” Mindel Shieman, and younger brother Louis in Poland. 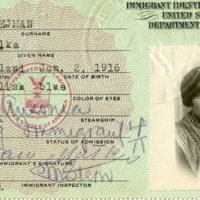 Scan of Mollie West’s Immigrant Identification Card that was given to her at the American Consulate in Poland before she arrived in the United States. 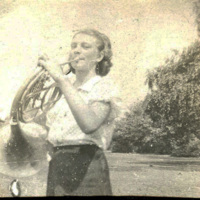 Mollie remembers the influence the Memorial Day Massacre had on her. 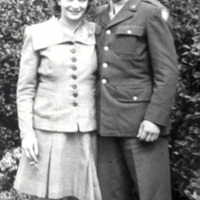 Photograph of Mollie shown with first husband Carl Leiber in his uniform. 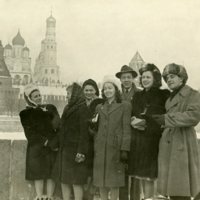 Mollie [far left] pictured with other delegates in Moscow. 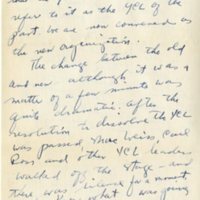 The United States delegation was invited to visit the Soviet Union while they were in Europe attending the World Youth Congress in London and the World Student Congress in Czechoslovakia. 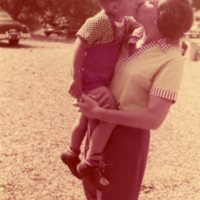 Photograph of a tender moment between Mollie West and her adopted son, Steven West. Steven West was born 1951 and taken in by Molle and former husband James West six weeks after his birth and later adopted by them.